There exist a conspiracy. I have only uncovered this heinous plot to undermine my morality and subvert my good intentions with a much more subversive and loathsome practice of extreme marginalism. The story that leads to my discovery is sordid and disturbing and I should mention now that this may not be the kind of story you want your children to hear. In an attempt to marginalize the effects on my family I wish to fully admit to my involvement and my part in this sordid play. I however want to shed my future of these past events in the attempt to safeguard those who were innocent of my involvement. It all started about eight months ago. I was an innocent in this and want to instill in all of you the need to reserve judgement until you have all the facts, for within those events will be revealed my complicity and my idiocy at not being able to recognize my role and the influences it had on me. Like all of us at times in our lives we are swayed and cudgeled by outside forces beyond our ability to overcome. My weakness was in the name of a Black on Black E350 Mercedes Wagon. I have it seems always had a weakness for the Mercedes but to this day could not imagine how it would alter my life, my thoughts and my future actions. I had been searching for a car to purchase when I noticed an ad posted by a local BMW dealership. Without seeing the car in person I put down a deposit and arranged to pay the remainder of the cost of the car and pick up this dream the coming weekend. The problems we all have in life most often start with innocent decisions not based on our preset moral code and it was the same with buying this automotive beauty. The car was perfect, the miles were low, the interior flawless, as was the exterior. It really was a dream come true, or so I thought. I drove the car off the lot and I seemed to be smiling at everyone who I imagined was envious of my new ride and the symbol of perfection that was this Mercedes. I loved the black color reflected the sun and gleamed in a thousand shards of light. It truly did reflect my level of pride and fulfilled a need I had. My job was as a Special Education Specialist in Chino California, a commute of only 35 miles but the traffic created a drive of over an hour most days and often stretched into two on the busy highway. So I hope you can at least see why I needed a comfortable car. The comfort of the car was imperative in order to keep the job and deal with the commute and this car was comfortable. It was the perfect car for my needs. The trouble with perfection is it rarely stays that way for long. Two weeks after I bought the car I had an incident that resulting in me totaling the car and severely damaging the other driver’s car. Everyone was safe, thank goodness, but my beautiful car was damaged beyond repair, my black car, my Mercedes was now a fading memory. I should have learned my lesson right then, right when it was the most obvious, but the idiot that I was could not see the machinations at work nor the way I was being swayed into making decisions that would haunt me the rest of my life. After the accident and having to drive a Toyota Corolla again, I felt defeated and let down but deep within I wanted what I used to have and started to rethink my position and search for a replacement. I thought about the Cadillac, or a Lexus but they were not Mercedes. I had to have a Mercedes, perhaps it was in my blood, or perhaps it was a inner need to satisfy those craving of supremacy but a Mercedes it had to be. Two months later I found what I was looking for, a bit more expensive but another dream come true and best of all it was white. A shimmering and shiny C300 Sport. When I took it for a drive I fell in love. It handled better than the E350 and it moved like a rocket on steroids. But it wasn’t until a few weeks later that I realized what I had done. I had been meticulously groomed and prepared toward buying this most ostentatious symbol of white supremacy. 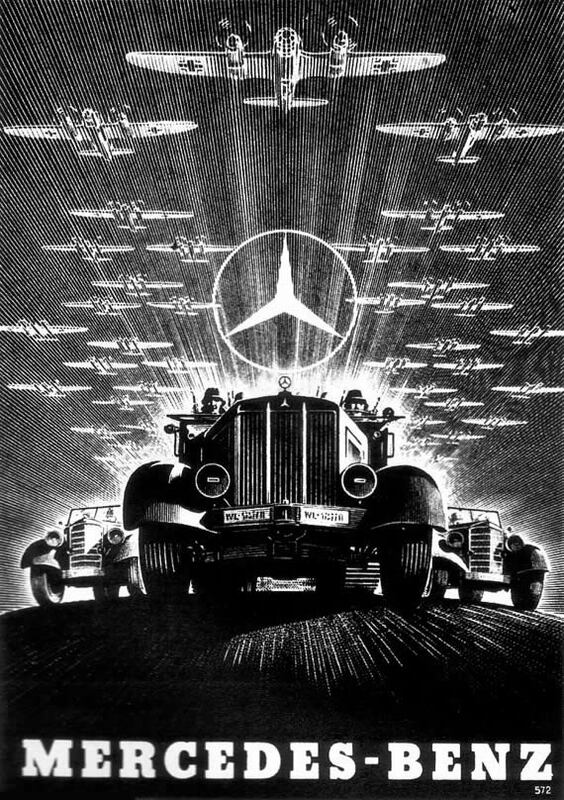 I had purchased a Mercedes, once a symbol of German engineering and a sign of Hitler’s supremacy. Not only did I purchase a Mercedes but I made sure it was a white Mercedes and on top of that I had crashed the black model so I could replace it with a white model. Albeit subconsciously the evidence of my collusion is evident by the joy I received and the feeling I get when I drive this car. At first I had no clue but now I know, I must be a racist, bigot who wants to flaunt my superiority through my exploitation of fine workmanship and a comfortable ride. The problem now is I cannot afford a different car, I’m still paying on the white, supremely comfortable C300. I am severely ashamed but perhaps not enough to actually destroy this symbol of racism and tell the world that I am not a slave. I am white after all, my car is white, my children are white (mostly), my walls are an off white, I have white dishes and I am so sorry to admit this but even my refrigerator is white, I must be a racist. My apologies to all, but it was not really my fault, I needed a car, a comfortable car. I wasn’t thinking about the relationship of certain products and their connection to Naziism, nor the way that purchace would alter my view of the world and disrupt my ability to act as a human toward other humans. Please forgive me, I really don’t feel like a racist, I know I don’t act like a racist but according to the crowds that matter I am a racist, a died in the wool bigot who surrounds himself with the trappings of white supremacy. Do you think it would help if I splashed a darker color paint over the car? Even my sycamore tree was trying to tell me I was wrong when it dripped thousands of droplets of sap onto the now dulled finish of my once gleaming car.